Here you find all informations about the Author. Bjoern Buerstinghaus is a IT Manager with 9 years of rich, hands-on experience. Bjoerns expertise lies in managing Microsoft Windows Server and client systems, Virtualization technologies like Hyper-V, as well as Microsoft Exchange Server and SharePoint Server management. Technical writing is another aspect in which Bjoern has done extensive and commendable work. Being a prolific technology writer, Bjoern works as a freelance writer for Linux New Media AG's ADMIN magazine. 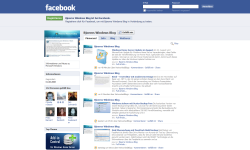 In addition, as an avid blogger Bjoern posts regularly to his own Windows-dedicated technology blog at blog.buerstinghaus.net. To get in contact with Bjoern click here or connect via social media. IT Administrator Edition 10.9 article: "From the Admin for Admins"